Jamek Mosque is one of the oldest mosques in Kuala Lumpur, Malaysia. It is located at the confluence of the Klang and Gombak River and may be accessed via Jalan Tun Perak. The mosque was designed by Arthur Benison Hubback, and built in 1909. The name "Jamek" is Arabic in origin meaning a place where people congregate to worship. It is also referred to as "Friday Mosque" by the locals. 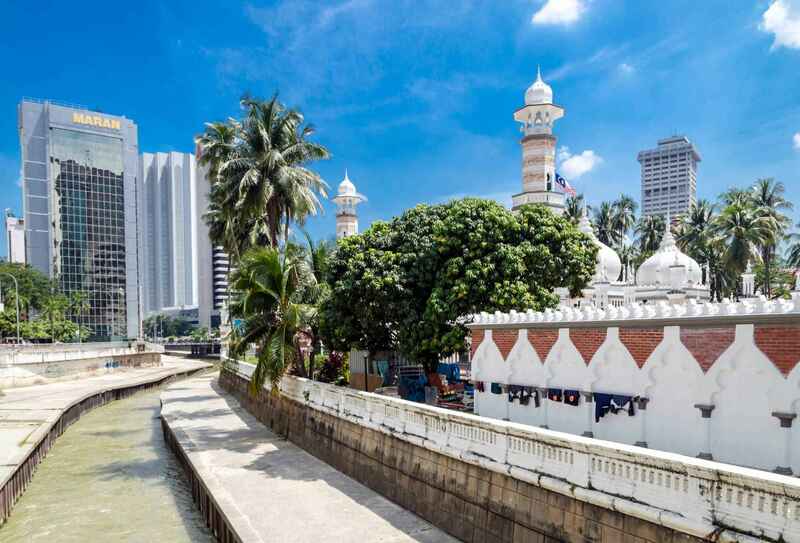 The mosque was built on the location of an old Malay burial place at the confluence of Klang and Gombak River. A couple of mosques previously existed in the Java Street and Malay Street area serving the Malay communities, but Jamek Mosque is the first large mosque to be built in Kuala Lumpur. The foundation stone of the mosque was laid by the Sultan of Selangor, Sultan Sir Alaeddin Sulaiman Shah on 23 March 1908, and the Sultan officially opened the mosque on 23 December 1909. The construction of the mosque cost $32,625, funded in part by the Malay community with contribution from the British colonial government. Masjid Jamek served as Kuala Lumpur's main mosque until the national mosque, Masjid Negara, was built in 1965. The architect was Arthur Benison Hubback who designed the mosque in the Indian Muslim Mughal architectural style. The mosque has since been enlarged with extensions built, and the originally open-air forecourt roofed over. One of the domes of the mosque collapsed in 1993 due to heavy rain, but has since been repaired. The design of the mosque has been described as a Moorish, Indo-Saracenic or Mughal architecture. A. 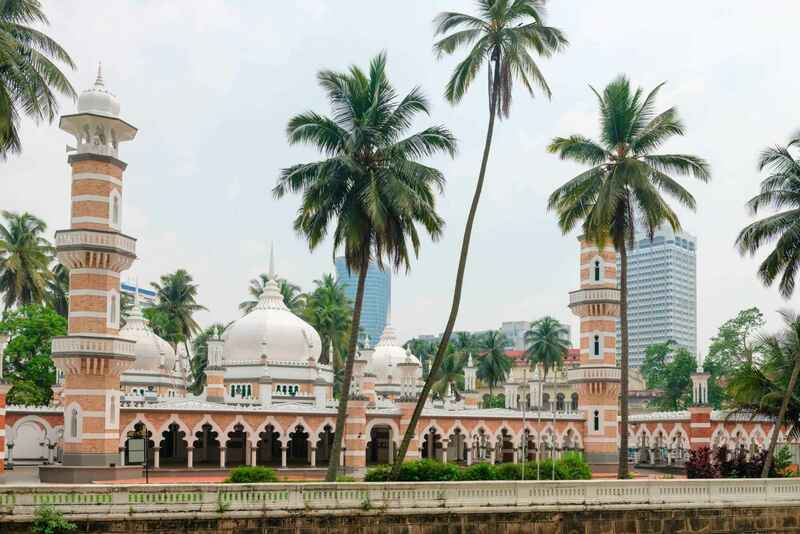 B Hubback also designed a number of building in similar style, such as the Kuala Lumpur railway station and the Ubudiah Mosque in Kuala Kangsar. The mosque has 2 main minarets among other smaller ones; the pattern of pink and white banding of the minarets, formed of brick and plaster, has been described as "blood and bandage". The mosque has 3 domes, the largest of which reached 21.3 metres (70 ft) in height. The prayer hall is located beneath the domes. Nearby is the SP7 KJ13 Masjid Jamek LRT station that is served by the Kelana Jaya Line, Sri Petaling Line and Ampang Line. The station is located between Chinatown and Little India; Dataran Merdeka is also nearby. Jamek Mosque | eTips Inc.